First, good to see this forum is still around - lots of good info over the years. 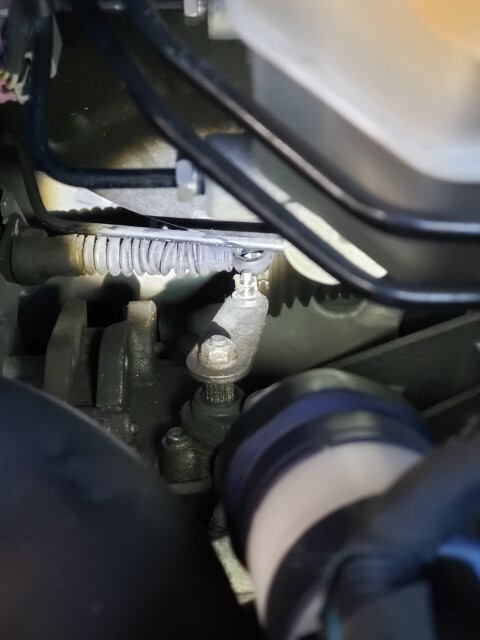 Searched for my problem - found lots of "stuck in park" and similar problems / answers but mine seems a bit unique. Maybe someone can provide some insight please! 2013 Dart 1.4L Turbo, DDCT transmissioin, 55,000 miles. Owned since new. Today get home turn the car off, shift into park, take key out and car rolls down driveway. So it shifts normally, the dash indicates D(rive), N(eutral) but not P(ark). Yet in the park position I can turn the car off and take the key out. I can turn the car off in Drive but then I cant get the key out (thinking I could leave it in drive to engage the transmission so it wouldn't roll down the driveway). So only solution was to park it on a flat part of the yard and set the parking brake. Anyone have an idea on how to proceed / where to look? Is it a cable adjustment, computer symptom etc. Any help is appreciated! Luckily I live in Florida so it is mostly flat where I park but at home I have a slight incline in the driveway! Check the shift cable adjustment. Have you checked for codes? Thank you for the lead! Will try tomorrow (or next weekend...). Will report back on results for all to know. Stay tuned....! Alpinegreenneon: from your input and a you-tube video i looked under the hood first. 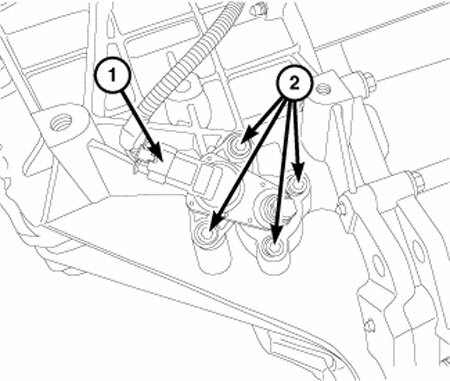 The problem is the sift linkage at the transmission. Any idea what part / number this is. The picture is from the top of the engine (engine cover removed) looking toward the back on the drivers side. 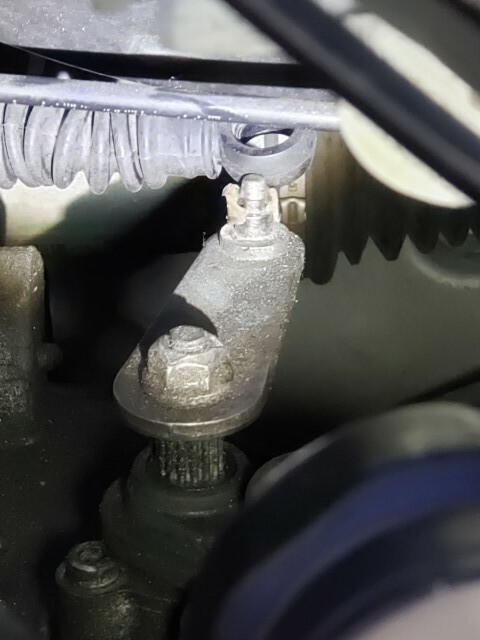 Looks like the bushing is blown at the one end but the fix might be to take the whole arm off via the bolt at the other end. If I manually move the arm left/right it clicks into place and the car registers Park at the dash. Thanks again for your help. I'll keep you all posted if it is as easy as taking the bolt off and replacing the arm. Most likely, the bushing is part of the cable and not part of the arm. There may be an aftermarket bushing available. 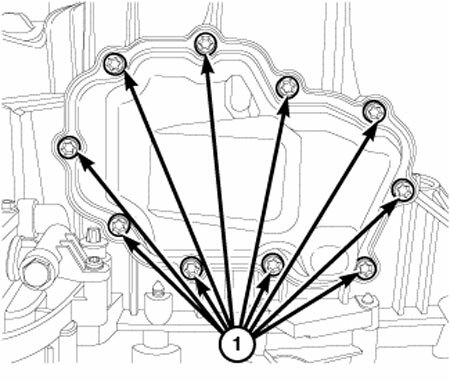 It's a common failure point for many cars. Do some googling. I'm pretty sure I read something here about there being such a bushing kit available online. 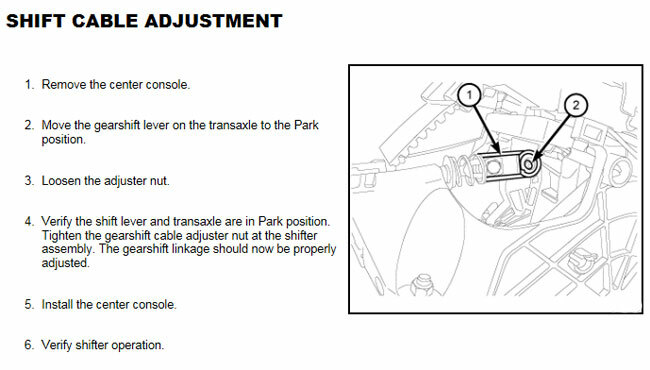 Be sure to include your VIN so he can be sure of the correct part number in case you have to buy the entire shift cable. For now, you could possibly jerry rig something with wire and a bottle cap to hold the shift arm to the shift cable end. On Neons with a manual trans, this was a very common problem. There was something called Booger bushings made of polyurethane that were almost indestructible. It almost looks like a Booger bushing would fit there. I may have some in my garage if you want to try one. If you can't find anything else, let me know. Thank you sir @alpinegreenneon ! After more research it looks like it is part of the cable and a replacement cable can be bought but I went the route of ordering a replacement bushing only from Bushfix.com. They are just an hour drive down the interstate from here but I paid for shipping (3-5 days). I'll report back on how it goes. In the meantime, I'll apply the parking brake, lift the hood to move the lever to the right (to place it in park) and reattach the cable to the arm (so that when I leave again it will shift out of park - and fall off again). But at least it will get me on the road and then when I get to where I'm going I'll do it all over again! Stay tuned for hopefully the final report...! DDCT would not shift out of second.